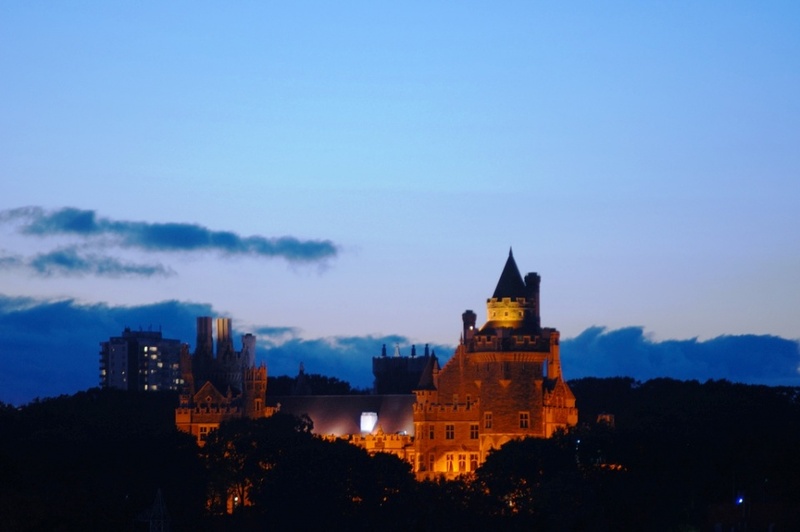 Casa Loma: Residence or Attraction? Casa Loma is a unique architectural jewel of Canada, and once the country’s largest private home. It took 300 men three years to build Casa Loma for Sir Henry Pellatt. 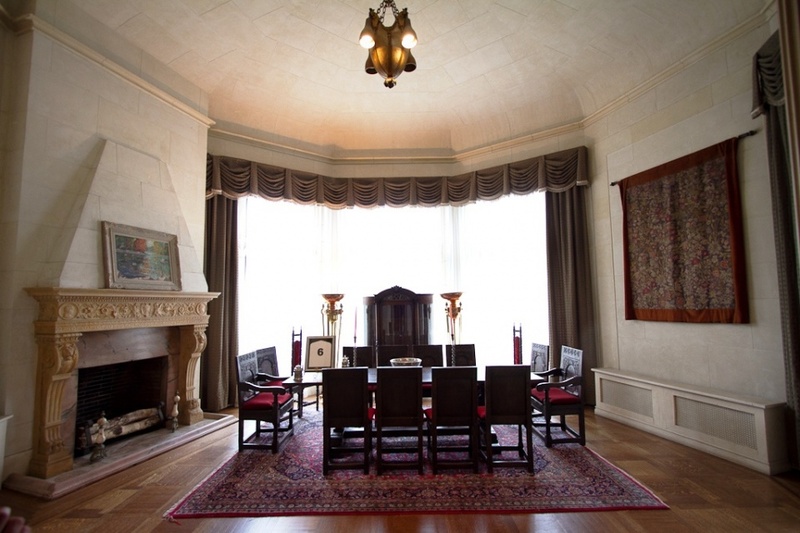 He was able to move into the house in 1914, becoming the owner of the largest home in Canada. The design of the residence is the work of Edward James Lennox, the creator of such Toronto landmarks as the Athletic Club building, Old City Hall (now the provincial court house), the King Edward Hotel, the Bank of Toronto, the Toronto Power Generating Station, and Postal Station G.
The business success of Sir Henry Pellatt took a bad turn when World War I and its after-effects wrecked the Canadian economy. Sir Henry’s monopoly on street lighting in Toronto was revoked by the city itself and his company was getting deeper and deeper into debt. All of this amounted to Sir Henry’s insolvency and forced him to sell his properties to recover some cash. He was eventually forced to sell Casa Loma to cover up his tax debt to the City. In 1925, it was decided that the house would become a luxury hotel. Its 98 rooms were more than enough to accommodate for this designation. Renovations took place to adjust the property for its new use, but the hotel never really achieved the desired turnover and the entire project failed after a mere four years. More proposals were not acted upon for the next seven years. Firstly, the Great Depression left everybody worrying about more acute problems, and secondly, the City that had since become the owner of the estate remained indecisive as to how best to put the property to use. In 1937, the Kiwanis Club offered to take care of Casa Loma and turned the house into a museum of the history of Sir Henry and the Toronto of his day. Under the Club’s wings, the Castle has become one of Toronto’s most popular attractions, with an attendance of nearly 30,000 visitors a year. The estate has its own gardens, fountains, library, secret tunnel, hidden passageways, and common rooms, and it offers a wonderful view of the panorama of Toronto. The premises are also home to the Queen’s Own Rifles museum, a militia regiment of which Sir Henry was a respected member for most of his life. Interestingly, the venue is financially self-sufficient and even contributes to the municipal budget in the form of fees and taxes. Despite the apparent success of the Kiwanis Club at turning the residence into a useful and popular venue, City Council recently decided to reacquire the management of the property and devise a new long-term strategy. It’s likely that the house will be placed on the real estate market and sold off to an interested investor. It’s hard to imagine that an individual would be willing to take possession of the entire property again, but the City may decide to turn Casa Loma into a condominium building. This way, the property could be sold off piecemeal to affluent families from Toronto or to foreign buyers. Is this a good thing? Should the property remain public and a tourist attraction? Or should it be used for its original purpose, to serve as a luxury home to affluent families? Before we jump to conclusions, let’s see what’s happening with similar mansions elsewhere. 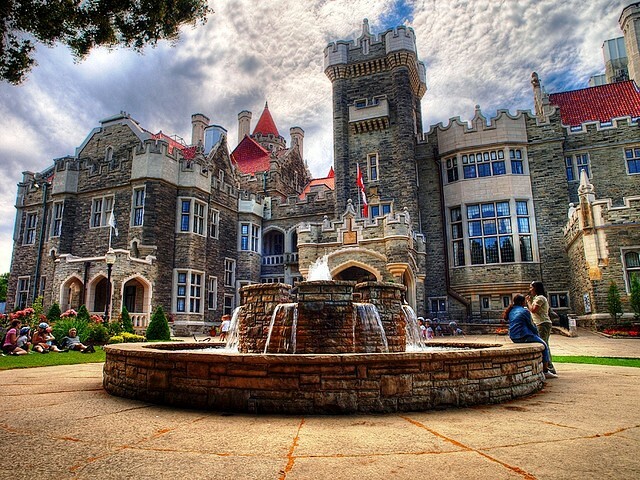 There are few residences comparable to Casa Loma in Europe. Most European castles and mansions were built centuries ago and have merely been kept up since. They have had so many owners and uses that it’s impossible to judge what their role should really be. The newly-rich generations of Europeans prefer to live in modern houses that offer comfort, and they seldom acquire historical properties. 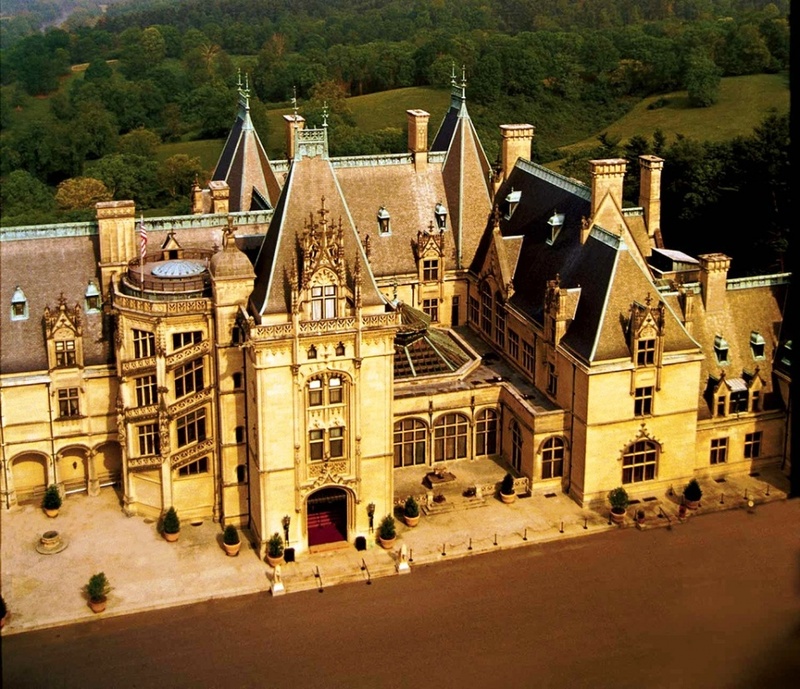 Therefore, the most similar property that comes to mind is George Washington Vanderbilt II’s Biltmore Estate in Asheville, North Carolina. This home is, to this day, the largest privately-owned home in the United States. Unlike Casa Loma, Biltmore is still owned by the Biltmore Company, which is in turn controlled by Vanderbilt’s grandson, William A. V. Cecil I. Biltmore has been updated to host a museum of the Vanderbilt family history. Equally attractive are Vanderbilt’s gardens and forests, spanning 8,000 acres (32km2) around the actual house. 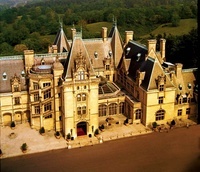 The estate is also home to the Biltmore Forest School and the Biltmore Winery, and it neighbours Biltmore Farms. Even if the vast spread of surrounding land were disregarded, Biltmore is not a particularly suitable building to host a hotel or serve as a condominium residence. The rooms that were designated to accommodate in-house staff are very small and, most importantly, have relatively low ceilings. Most secondary staircases are also quite narrow and do not allow for sufficient comfort. Such features are very hard to amend in a satisfactory manner in older buildings. For these reasons, it only makes sense that Biltmore remains a historical monument, and it’s only thanks to the good will of its owners that the estate is open to the public. When it comes to Casa Loma, the situation is less straightforward. Casa Loma is indeed a rather modern residence with spacious rooms and provides good living comfort. What’s more, it’s conveniently close to city life, located right across the road from the Forest Hill neighbourhood. All of these qualities would make it one of the most prominent places to live in Toronto. And with the recent sale of the $28m most expensive condo in Toronto, it seems that the demand for luxurious residences is rather strong. The sale of Casa Loma would also make sense from a historical point of view. The Castle was built as a family residence to be enjoyed by the family of Sir Henry Pellatt. It was Sir Henry’s intention to continue living in the house, and if his personal economic woes didn’t force him to give Casa Loma up to the City of Toronto, his descendants would most likely still dwell in this wonderful residence. In other words, the fact that Casa Loma is in public hands is a result of one man’s misfortune rather than an acclamation of the City’s ability to curate historical landmarks. The house has never thrived under the sole management of the City, and now that the Kiwanis Club is being chased away, I’m not optimistic about the City’s ability to develop the estate — especially if history should repeat itself. On the other side of the spectrum are those who have gotten used to Casa Loma being a tourist attraction and a publicly accessible reminder of the industrial revolution in Canada. Some are openly suggesting that the mayor’s office should be sold off instead of Casa Loma, if money were the City’s only concern. From the ongoing online discussions, it appears that most Torontonians are against the transference of Casa Loma into private hands. They simply argue that the tourist appeal and historical value of the residence and the cultural value of the expositions inside significantly outweigh the economic interests of the City. What’s your take on this issue? Would you rather see Casa Loma open and available for tourists and locals to visit, or would you prefer the city to sell the property back into private hands? And what will happen once the Kiwanis Club hands the management over back to the City council? Let us know in the comments, please! It does make one think that the city in 1925 could not not find a solution for the Casa Loma, why would the current city hall group do any better. Not to many of them can walk past a mirror without stopping for a look. Me, myself and l, is how they sound like. Visionary is not part of their resume, otherwise they would see that the Casa Loma could become another destination point in Toronto. A great building for a specialty /boutique hotel, George Brown College is around the corner why not have the college students learning the intricacies of running a business there. 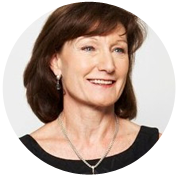 The location is great, what is needed is great marketing to keep it running. Thank you for post. I am hopeful that the city finds a way to maintain this property for the future as a Toronto landmark. I am deeply saddened by the fact that Sir Henry got screwed by the city and the country more than twice! He was a successful businessman, and he did well. And the city looked for ways to screw him over. Aircraft company – taken. Hydro company – taken. Then, add the other sundry little things that got taken in one way or another. I toured the Biltmore a few weeks before Casa Loma and am glad I got to see them both. I hope future travelers to Toronto have the same opportunity. I did not realize that so many movies were partially filmed there until I was at the gift shop area and almost finished with the tour. Why did they not note these scenes in the rooms as we toured them? I would have found that most interesting as I am sure others would. Channing Tatum, Richard Gere, scenes with Ironman, Wolverine, and the list of movies goes on. I agree with Mark about the poor treatment of Sir Henry by the city and I sure felt sorry for him after hearing the story of his life. to Toronto, was to be able to experience a view of a Castle,” Casa Loma”, right on the city’s boundaries. The History behind, is itself a Recognition of times in History. the Past and be Part of It. Conserve, not destroy. History should be the concern! From cakes, waffles and chocolate pizza, to delicious drinkable chocolate, Cacao 70 brings all the chocolate delights to their guest.